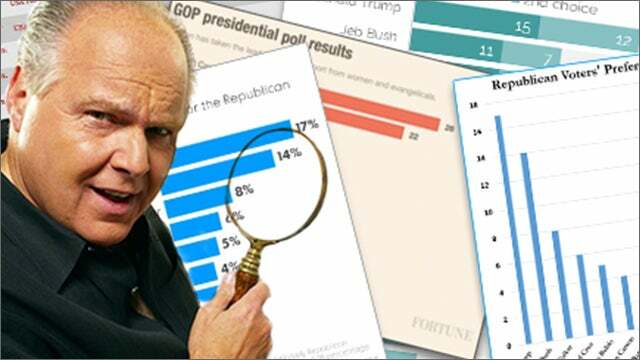 RUSH: So where are we on the midterm elections? As I say, it’s a mixed bag out there. The Daily Presidential Tracking poll from Rasmussen is reporting that Trump’s approval number is at 48%. That’s likely U.S. voters. Fifty-one percent disapprove. Obama was at 45% on this same date in his presidency, February 21st, 2010, Obama was at 45%; Trump is at 48%. I doubt most young people know this, either. Trump is doing better than Obama. “Many Democrats say that they’re watching nervously as polls start to trend in Republicans’ favor, and they worry that they are witnessing the beginning of a slow-motion train wreck that they have no idea how to stop.” Now, I’m gonna give you Democrats a hint. What you have turned the Florida school shooting into (i.e., the Wellstone Memorial 2), you better be careful. If you put this in prime time and a whole bunch of people see it, it is not gonna help you. Stand by. We’re gonna go back and revisit sound bites in the Wellstone memorial in 2002 for those of you that don’t remember it so that you will have a reference point. Now, back to Politico. “There are still widespread disagreements within the diverse 193-member caucus about what campaign message Democrats should rally around in the final months before the midterms [in November] and even who should be the party’s chief messenger. … ‘People get caught up in the anti-Trump messaging. That’s what the messaging has been,’ said Rep. Emanuel Cleaver (Democrat-Missouri). “‘The Democrats focus so much on Trump and the carnival that is around him that we don’t spend enough time talking about who we are and what we will do if the voters give us a chance in the majority. '” I’m sorry, that’s all the voters think you’re gonna do is get rid of Trump. That’s been your messaging — and whatever you do to change the messaging, you’re not gonna be able to erase that, Emanuel. The people of America realize what you want to do. Now, the polls have shifted in the Republicans’ favor, but Politico says that’s because the hysteria the Democrats whipped up ahead of the tax reform bill. And this is… Folks, this is classic. I mentioned it earlier today, but it’s worth going through again. The media led the Democrat Party’s charge against the Trump tax bill by reporting that 80% of the American people are gonna get a tax increase. They were lying through their teeth. The media — the bulk of the mainstream media — and the Democrats simply were lying through their teeth, claiming the only people gonna get a tax cut were the very wealthy and American corporations. Of course, both those entities are very evil. And it worked. If you look at the polling data, even after the tax bill passed 75% of the American people opposed it because they thought they were gonna get a tax increase. Today, polling on the tax bill is 51% in favor of it. Democrats have come down from a high of 75% opposing the tax bill to 51% supporting it. The difference? People are living it! People were fully expecting to see smaller paychecks. They saw it on TV. They saw it on the internet. They saw it on CNN. They saw it everywhere. Their paychecks were gonna get smaller. Except… The paychecks are bigger. And the American people that believe the media are truly surprised, folks. They’re genuinely shocked. They really did believe what the media told them. The Wall Street Journal has a whole expose and story on this today about how amazing this accomplishment was. To convert a tax cut for 80% of the American people into a tax increase and be so successful in the lie. So that is a factor, and that’s what’s bringing the generic ballot down. But there are things happening out there that do not look to me like the Republicans are gonna win anything, because the Republicans — and I warned you about this last week. Republicans are continuing to lose elections. Wait ’til you hear some of the details. 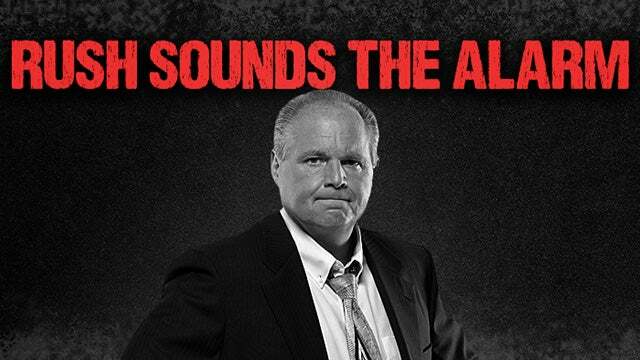 RUSH: So let me sum up where we are. Trump’s approval number is at 48%. Obama’s was at 45% at the same time, one year in. 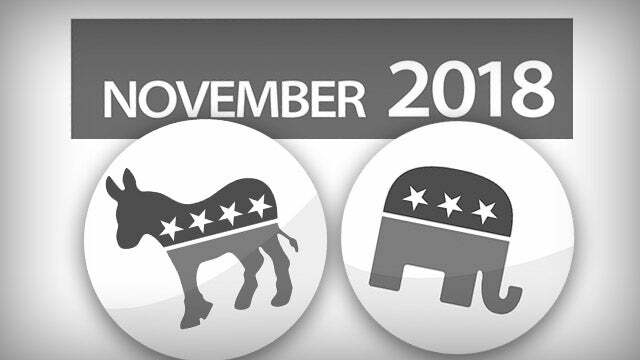 The generic ballot is showing the Republicans practically erasing the Democrat 15-point lead in December. The Republicans are pushing the generic ballot, almost a dead push now. The Democrats have a guy got three-point, statistical, within-the-margin-of-error lead in it. And the main reason why the generic ballot is benefiting Republicans is the tax bill. This is the theory. The theory is the American people love it, after having been told that they were gonna hate it. After having lied to that the tax bill was actually a tax increase and they believed iy, now they’re finding out that everybody’s getting a tax cut, and they’re deliriously happy. I don’t know if they’re mad at the media. I don’t know how deep their realization goes. But this is a case study, this is a literal case study on the Drive-By Media and its express agenda and how it is operating and how there are no limits on what they are capable of and what they will do. And not just in taxes. On this story with the shooting of the high school, guns, you name it. Fredo Cuomo today got scammed. You know, there’s a phony internet meme out there, and it’s been around for I don’t know how long. It consists of videos of average, ordinary Americans, including some students, and they’re on camera, and they’re saying, “I was able to buy an AR-15 in five minutes, and this is not right! I shouldn’t be able to buy an AR-15 in five minutes!” It’s totally phony. 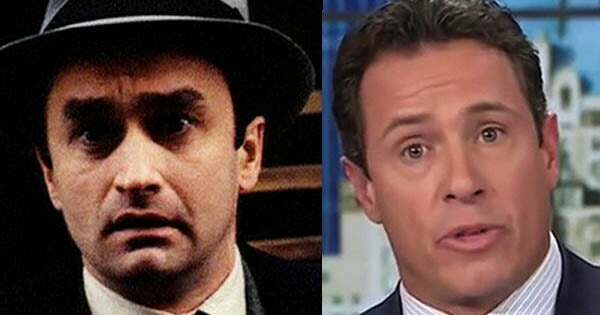 It’s all fake and made up, and there’s Fredo Cuomo on CNN using it today — and everybody knows they’re made up. I don’t know if CNN’s got anybody there bright enough to know, but they’re using it. And when Fredo was called out it, “Oh, okay,” and then promptly forgot about it and never corrected it. They never went back to it, just changed the subject. So people that watch CNN they’re convinced you can go buy an AR-15 in 15 minutes — no matter how old you are, no matter where you are — that they are that available. So all of these signs so far make it look like the Democrats’ dream of winning enough seats in November to take back the House looks impossible, until… Remember the story I had? It might have been last week or the week before, and you didn’t know about it. It had not been widely reported. The Democrats have a new tactic on these elections, the off-year elections and so forth. They’ve begun to win them. But they’re not talking about it. They’re keeping it all under the radar. At the time I mentioned this to you, the most recent election the Democrats won, that meant something. It was 16 elections that they had won. Now, this includes town council, state offices, you know, very localized. But still it was elections that Democrats are winning, which was not happening. Democrats had been losing elections in droves since are left. Well, the Democrats have flipped another deep-red Republican seat in Kentucky. In this district that the Democrat won in yesterday, Trump won this district by 50 points, 49 points. Linda Belcher, Democrat, took the Kentucky House seat by 36, an 86-point turnaround. I don’t know what turnout is and it’s clearly a factor. So she ran again. “The seat, located in Bullitt County, just south of Louisville, was vacated in December after former Rep. Dan Johnson, committed suicide just two days after being accused of molesting a 17-year-old girl. His widow, Rebecca, who has denied the allegations about her former husband, decided within a day to run for the seat. In recent years, [widow] Rebecca Johnson got into hot water for her social media posts. “That included a September 2015 post in which she advocated for a prohibition of Sharia law in Kentucky.” She advocated to prohibit Sharia law and lost. “In 2016, her husband Dan Johnson [who committed suicide] went a step further, posting images of Barack and Michelle Obama on Facebook with ape-like photoshopped features. Additionally, he posted an image of a chimpanzee and labeled it as a baby picture of the former president. ‘It wasn’t meant to be racist. … My history’s good there. [was just trying to have a little fun],’ Johnson” said. Well, this must have been written before the tweetstorm on Sunday. “The president’s still tweeting, to be sure, and many of his tweets attack his opponents. Nevertheless, a thorough review of Trump’s tweets during the period of his rise in approval shows a nearly complete absence of the vitriolic and personal tweets that frequently dominated 2017 news cycles.” Okay. So Trump and the Republicans are doing better. Trump stopped tweeting “personal, vitriolic” stuff. But then there’s another story here on this Kentucky race that mentions the 37th flip and that Democrats are winning. Now, this is the Drive-By Media. This 37th number baffles me — or 37 elections that Republicans lost number baffles me. But something doesn’t. The Democrats do not have any money, and the RNC is rolling in it, and what is going on? The Republicans ought not be losing anything if money matters that much in politics. What is going on here? What’s the RNC doing? That’s all I know to ask. (interruption) Well… Well, look. I know the Democrats are raising money for individual candidates and not to the DNC. But the Republican Party is raising money that could be used. The Republican Party is still outraising the Democrats no matter how you calculate it. I don’t know. There’s a part of me that still realizes — or let me put it this way. There’s a part of me that still has to accept the very real possibility that there remain a whole lot of Republican Never Trumpers out there, and they are still as Never Trump as they always have been. And they would not be unhappy at all to see Trump impeached or sent packing. I’m talking about Republicans. So it’s conflicting. If you look at the Drive-By Media stories and the approval numbers, it looks like the Democrats’ advantage in the generic ballot for the midterms has evaporated and it’s gone. The polling numbers on the tax bill are skyrocketing. Trump’s approval number is up. All of that would tend to indicate the Democrats are not gonna be successful enough to take over the House, but then you look at these individual, little elections out there, and you see the Democrats winning a lot of them. And you wonder what is the balance, you know, which should be given the more credence in analyzing and projecting the future. Time will tell.